Here are some killer germ busting ideas that I do, and did do this past week, when half my family turned up sick. 1. Oil of Oregano – some folks can do the oil straight out of a dropper. The flavor is way too intense for me so I prefer capsules. 2. Echinacea & Goldenseal – promotes a healthy immune function, fights off the common cold, is a natural antibiotic and an anti-inflammatory. 5. Zinc – reduces the common cold and increases immune function. Comes in a liquid dropper, capsules or lozenges. 8. Rest – Ideally, the general rule is if your cold is only in your head, you can still work out. If it is below the neck (I.e. in your chest), best to avoid workouts. You’d be surprised, but a lot of people don’t realize we get sick because we touch our… . Eyes 👀 Ears 👂 Nose 👃 or Mouth with our dirty hands. Wash your hands often and keep them off your face! Grab a tissue or towel and spew into that instead. If not, cough/sneeze into your elbow crease or even inside of the neck of your shirt. Whatever you do, don’t do it on your hands unless you plan on washing them immediately. **Of course, if you are super sick, go to the doctor! These are not meant to be cure-alls or end alls! Share your favorite “go to remedies” and tips in the comments section of Jessica’s Instagram page (@jessicaleighe) so that everyone can benefit this season! Jessica Leigh Ehrlich is a personal trainer from Austin, TX. 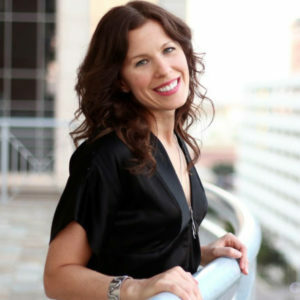 With over two decades in the industry, she has used her passion for wellness to teach hundreds of people fitness, nutrition, yoga, and pilates. You can catch her meal plans, wellness tips, and daily shenanigans on Instagram @jessicaleighe.